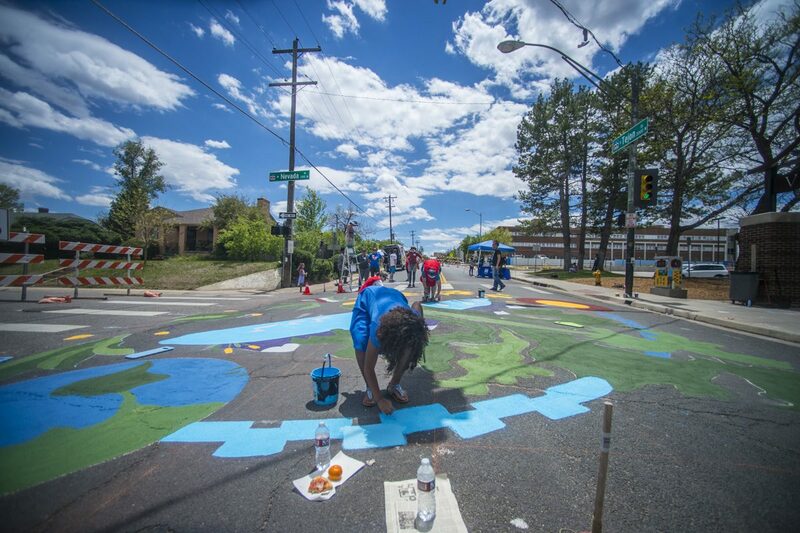 Walk Denver works hard to make Denver a better place for walking and biking commuters. 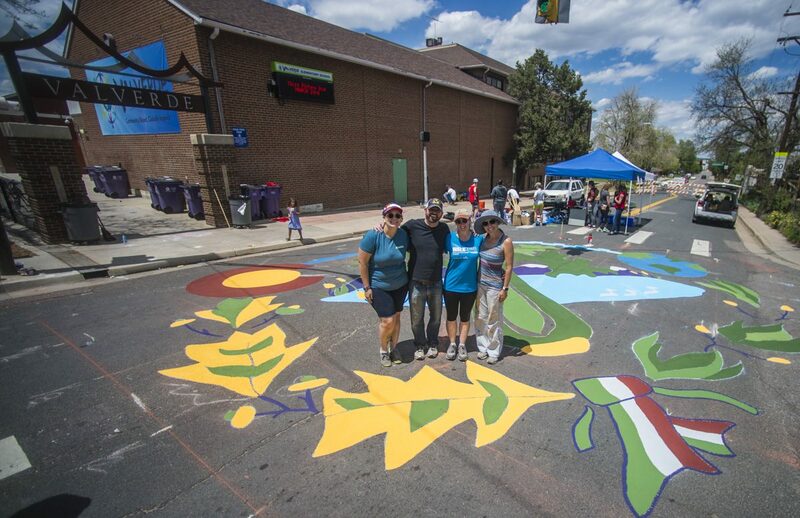 The brilliant idea to paint a mural in a high traffic intersection near an elementary school helps drivers slow down as they pay attention to pedestrians. I designed this mural after community input survey that explained they would like the mural to represent the history of the neighborhood as well as culture and nature. The celery stalk in the middle of the image is symbolic of the celery farms that stood before the buildings in the area. Houston lake and the Rocky Mountains are behind the celery. The cog wheel at the top of the image is similar to that in the Vietnamese flag and the bottom leaves and ribbon are similar to elements from the Mexican flag. These two cultures are prominent in Athmar Park. 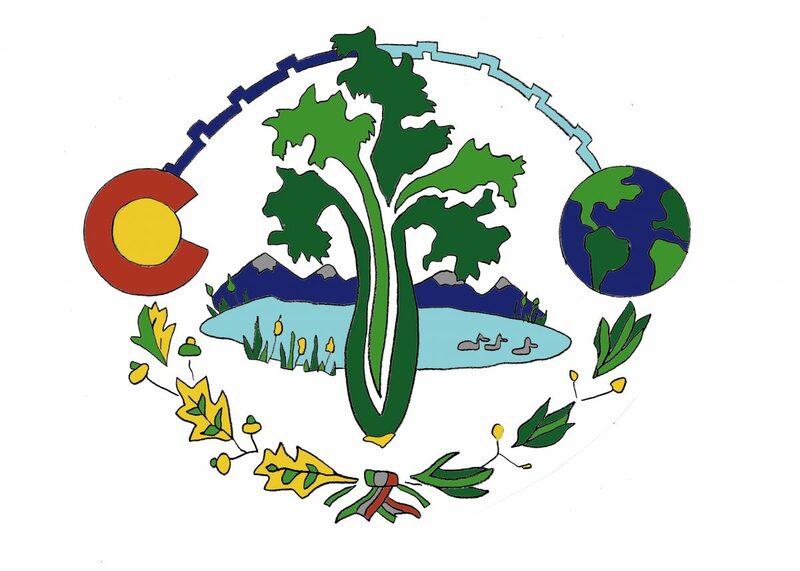 The Colorado symbol and the world symbol encompass the rest of the cultures globally and locally. 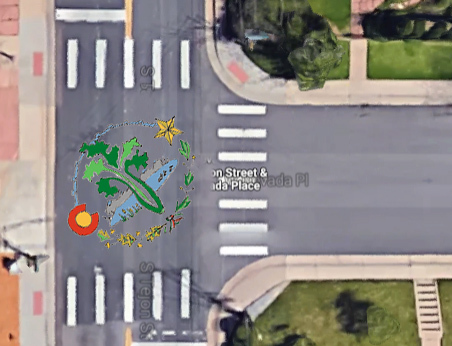 I scaled the image large enough to fit properly in the intersection and numbered the sections to be painted. Volunteers help paint in the final product.